Welcome to Vidushi Vastu & Astrologer - a reputed Astrology & Vastu institution from Mayur Vihar, New Delhi, India offering Astrology Course in Narela. If you are from Narela and want to learn Palmistry, Astrology, Vastu & Numerology, then you can enroll to our regular or correspondence course. 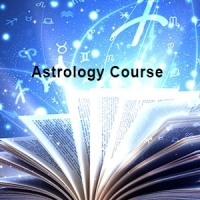 Introduction to Astrology, Zodiac Sings and Solar System, Planets, Rashis, Nakshatras, Calculation of Time, Sidereal time, Duration of day and night, Planetary degrees, The Retrograde and Direct motions of Planets, Rising and setting of Planets, Casting of Horoscopes- Natal and Chalit, 12 House of Horoscope, Calculation of Vimsottari Dasha and Antardasha. Uses of Panchang to Find out Tithi, Paksha and Month, To know Panchang of a day, Increases and Decreases of Tithis, Kshaya and Adhik maas, Names of twelve months of Indian calendar, Nakshatra, Yoga, Karan. 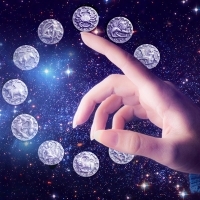 Planets characteristics, Natural friendship, Temporary friendship, Fivefold friendship, Exalted and debilitated signs of planets and degrees, The Mooltrikone signs and own signs and their degrees, Enemies of planets, Significators, State of planets, Aspects of planets. Characteristics of Signs, Their nature, Elements, Even and Odd Signs, Male, Female, Dwipad, Chatushpad, Keet, Moveable, Fix, and Mixed Signs; Earthy, Watery, Fiery, Airy Signs; Shirshoday, Prishthodaya and Ubhayodaya Signs.